CSU-Pueblo is on the map again, this time making U.S. News and World Report's top 100 undergraduate engineering programs in the nation. In Tuesday's Chieftain story about the retirement announcement of CSU-Pueblo President Lesley Di Mare, we published a list of her accomplishments. It's a long list and it's impressive. CSU-Pueblo has formed a search and rescue team to participate in the Pueblo County Sheriff's Emergency Services Bureau. Cyber Security at CSU-Pueblo: Program prepares for a needed profession. Former CSU-Pueblo Mass Communications Department Chair Jen Mullen has been hired to serve as interim managing director of the newly formed research institute, to help faculty and administration advance its goals. CSU-Pueblo is one of four Colorado higher education institutions selected to participate in the first phase of the Civic Health & Equity Initiative. The university's undergraduate engineering program was ranked No. 97 among the nation's top 100 by U.S. News and World Report. For the past four years, faculty and staff at CSU-Pueblo have not received a raise in their salaries because of budget conditions - a benefit the school's president said they completely deserve. 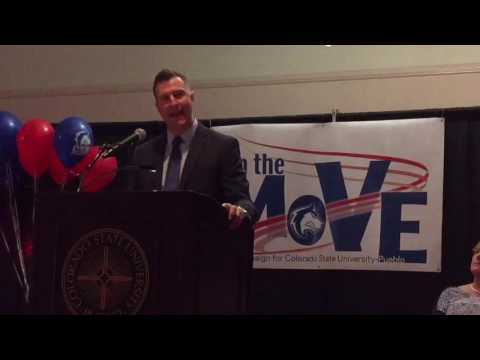 CSU-Pueblo is meeting its student enrollment and retention targets, the school's president said Monday. CSU-Pueblo President Lesley Di Mare announced her retirement Monday during a "State of the University Address" at the Belmont campus in front of students, faculty and staff. The turf is new. The basement at the fieldhouse is renovated and soon a brand new weight room will be completed. With track and field events in full swing at the 2016 Summer Olympics in Rio de Janeiro, Derrick Williams has set lofty goals for himself - goals that would have him competing four years from now at the Tokyo Games. Genesis Enriquez-Moncada said he knows the struggles students have with tuition and other expenses that are all part of college life at CSU-Pueblo. (7/16) CSU-Pueblo President's Gala, "I Love CSU-Pueblo"
While "summer math camp" might not have a particularly glamorous ring to it, the fact that the overwhelming majority of the world's top-paying professions have a math basis gives it a much more appealing sheen. A family of CSU-Pueblo graduates donated $10,000 to the recently renewed rodeo club team at the school. Climate change is something everyone will face as they enter their new professions.